WELLNESS AND EQUALITY – Page 7 – News, commentary, and advice to improve your health. 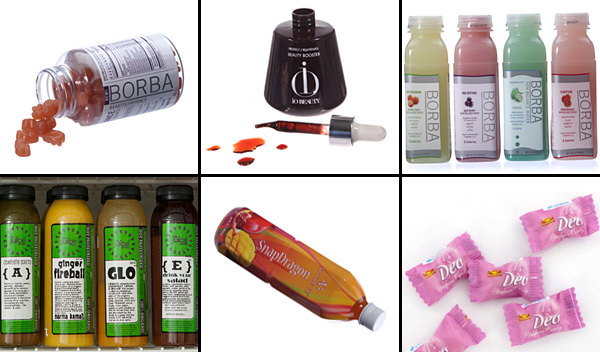 Can you drink your way to beauty? In the New York Times today, Stephanie Rosenbloom discusses a recent onslaught of edible and drinkable cosmetics in her article “Beauty By the Bite.” One such product is io Beauty Booster, the creation of Australian makeup artist Sue Devitt and Miss Universe dietition Tanya Zuckerbrot. Devitt claims she “noticed her skin was more luminous after snacking on goji berries, raspberries and wild blackberries at a friend’s farm.” So the two concocted an elixir “loaded with antioxidants and minerals” and designed to improve the skin. Rosenbloom writes that the mix “tastes sweet,” but she also notes that the potion is sugar-free and calorie-free. No matter what benefit you might take from the antioxidants and minerals, if this potion tastes SWEET and has zero calories, I don’t have to look at the ingredients to know that there is something sinister lurking in it. Technically, the first artificial sweetener was lead acetate, which caused lead poisoning. In more recent American history, the first artificial sweetner was saccharine, one of Monsanto’s earliest products. The historical pattern of artificial sugars is this: The artificial sugar is introduced, touted as safe, backed by a powerful biotechnology corporation or food manufacturer (Monsanto, Coca-Cola, etc. ), and slap-dashedly approved by the FDA. Further studies link the sweetener to cancer and public outcry ensues. Just when concern reaches a crescendo and sales of the sweetener slow, a new artificial sweetener emerges, and the cycle continues. So what is in Devitt’s and Zuckerbrott’s health elixir? Is it aspartame? Sucralose? Acesulfame-K? Neotame? Saccharin? But these elixirs and potions don’t work. The best liquid you can put in your body is free: water. Bingo. Save your money, save your body, drink water. Don’t believe me? Try this special offer for free: Drink 8 glasses of water every day for one week and see if you feel the difference! Photo Credit: Tony Cenicola, Erin Baiano, and William P. O’Donnell for the New York Times. Author WEPosted on December 15, 2011 April 29, 2013 Categories False AdvertisingTags artificial sugars, artificial sweeteners, beauty, waterLeave a comment on Can you drink your way to beauty? When experts (in this case, farmers and doctors) were asked what foods they consider unsafe, the top 7 winners spanned multiple food groups (produce, dairy, meat) and were mostly healthy, fresh foods. For many people, making your own spaghetti and pasta sauces, buying unprocessed meats and preparing them at home, avoiding processed foods with high fructose corn syrup, eating fresh fish once in a while, and filling up on fruits and veggies is a HUGE step in the right direction. But if you’re already doing these things, how can you take your health further? Read below to find out how you can upgrade the foods you already thought were healthy. In 2010, Canada became the first country to declare BPA a toxic substance. Both Canada and the European Union have banned its use in infant bottles. Out of concern for public health, Japan replaced much of its BPA with alternatives. The United States has yet to catch up. Resins containing bisphenol A (BPA) coat the inside of almost all food and beverage cans in the United States. BPA is also used in the manufacturing of our plastics. Because BPA is known to be estrogenic (this is nothing new — scientists discovered BPA’s effects on the estrous systems of mammals in the 1930s), it is especially harmful to unborn children, infants, and young children whose estrous systems are not fully formed. Even very low doses of BPA have been linked to increased obesity, neurological damage, hormone changes, thyroid disruption, breast and prostate cancer, and at least one study linked BPA to heritable genetic changes (yikes!). This isn’t your great-grandmother’s autumnal canning tradition. 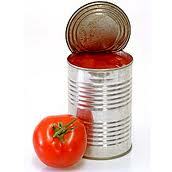 Whenever possible, choose fresh tomatoes or those that have been “canned” in glass jars. Want to take action without spending a penny? Despite federal support of BPA, several states and cities are outlawing BPA in some products on their own, including Oregon, Washington, New York, Wisconsin, Minnesota, California, and Chicago (as of July 2011). Write to your representative or senator and ask what they’re doing to support anti-BPA legislation. If cows are naturally designed to graze on grass, why are they fed corn, grain, and soy? (A) It’s cheaper. (B) Cattle fed on grain, corn, and soy fatten for slaughter exponentially faster. (Just like humans.) (C) You could make an argument that Monsanto — widely considered the world’s most evil corporation — had a hand in manipulating farmers into using this crazy diet for cattle; Monsanto just so happens to have a monopoly on corn and soy seeds in America. If you are a meat-eater, one of the best things you can do for yourself is pay attention to the quality of the meat you’re eating. Environmentalists and animal-rights groups have long advocated for the improved diets and treatment of animals. Whether you’re an animal lover or not, the diet and treatment of the animals you eat significantly impacts your health. Meat from grass-fed cows is leaner, higher in healthy fats, lower in bad fats, and has significantly more vitamins and minerals. A study by Cornell University found that grain-fed cattle have as much as 80% less of the strain of e. coli responsible for food-born illness as compared with their grain-fed counterparts. Furthermore, the e. coli that grass-fed cattle do have is unlikely to survive human stomach acid. Clearly, there is some magic in feeding animals the diets they were meant to eat. Trust nature. 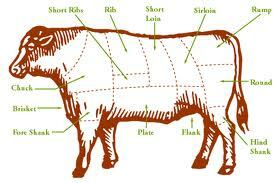 If you buy or eat beef, be sure it’s grass-fed. Want to take action but spend less? Go meat-free several days a week — but don’t replace the meat with soy products like tofu. Instead, opt for legumes, or dark leafy greens . If you haven’t had the luxury of tasting organic made-at-home popcorn, you are missing out! Make it a treat. Top those organic kernels with real butter and salt. If you prefer, you can use olive oil, salt, and other seasonings. I promise you: Real popcorn tastes better. And no matter how much butter, olive oil, and salt you add at home, you cannot possibly match the levels of fat and salt in store-bought microwave popcorn. Not only is corn one of the most common genetically engineered organisms in the American diet (it’s right up there with soy — always buy organic corn and soy! 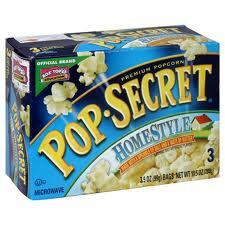 ), the even larger problem with microwave popcorn comes down, once again, to the packaging. The chemically-saturated lining of the bag leeches onto the popcorn during the microwave process, coating the kernels before they make their way to your mouth. That chemical cocktail includes perfluorooctanoic acid (PFOA), a compound linked to infertility. There is no debate about the danger here. Food manufacturers know PFOA is extremely dangerous and many have voluntarily promised to phase out its use out by 2015. But do you really trust the replacement they will come up with? If food manufacturers’ track records are any indication, it will be worse than PFOA. Make your own popcorn with organic corn kernels, not just because it’s fun and it tastes better, but becuase it’s dangerous not to. Good news: If you buy organic corn kernels, olive oil, and salt in bulk, this probably won’t cost you much more anyway! I hate advising people against conventional fresh fruits and vegetables! My concern is that instead of buying the organic alternative, you might become discouraged and skip buying produce altogether. Please don’t. Potatoes are one of the least expensive vegetables you can buy and splurging on organic potatoes is a prudent use of your pennies. They are also an excellent replacement for grains, pastas, and breads. Overall, I believe the benefits of eating fresh fruits and vegetables outweigh the known risks of exposure to pesticide residues, but knowledge is power and you should be armed with information before putting anything in your body. Here’s the scary truth about potatoes: Remember how when you were little, in elementary school, you would stick tooth picks in a potato and the potato would grow thick, foot-long green roots? Try that today with conventional potatoes, and the results will most likely be a feeble reproduction. Our fungicides, herbicides, and pesticides are stronger than ever, and potatoes are exposed to many chemicals, multiple times, to be sure they don’t sprout those unseemly roots. They consistently rank on the Environmental Working Group’s “Dirty Dozen.” Recent USDA tests have found more than 35 pesticides in conventional potatoes, including a dozen known carcinogens. Take the lead from potato farmers: they have separate plots of land where they grow potatoes for themselves and their families. 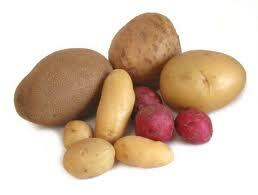 Grow your own or buy organic potatoes. Want to take action by spending less? Choose conventional sweet potatoes instead. You are what you eat and farmed salmon are fat, due to a diet of genetically-modified “soy, poultry litter, hydrolyzed chicken feathers… [contaminated with] carcinogens, PCBs, brominated flame retardants, and pesticides (like DDT),” according to doctor David Carpenter, director of the Institute for Health and the Environment at the University at Albany. 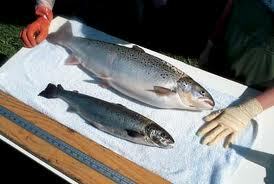 Another reason to avoid farmed salmon: A year ago, AquaBounty Companies was awaiting approval from the FDA to begin selling its genetically modified salmon whose growth hormone never turns off (see photo at left), and it appears the FDA has granted that approval. However, since there are no laws in the United States requiring the labeling of genetically engineered food, consumers may never know whether their salmon has been engineered to grow 30 times faster than its natural rate. We were the first generation of humans to consume genetically modified fruits and veggies, but AquaBounty’s salmon is/will be the first genetically engineered animal ever eaten by humans. This raises enormous health concerns since most studies of GMOs suggest that the ill effects are more pronounced in the second and third generations of GMO-consumers, meaning we simply haven’t had time to conduct thorough studies yet on humans. Don’t want to be the FDA’s guinea pig? Always check the label to be sure you are purchasing wild-caught salmon. Want to take action by spending less? Buy frozen instead of fresh. Once the FDA finally allowed dairy farmers and manufacturers who didn’t use rBGH to label their milk in 2008 (of course, only if they included the FDA-written statement ‘no significant difference has been shown between milk derived from rBST-supplemented and non-rBST supplemented cows’), consumer demand for rBGH-free milk skyrocketed! Even Walmart sells hormone-free milk now. rBGH and rBST — growth hormones fed to cows in America — are banned in most industrialized countries. I will spare you the stomach-churning details of rBGH-produced milk (the cows have higher incidences of infected udders due to the increased milk production… you connect the dots), but rest assured, you don’t want to be drinking it. (Once you’ve dropped milk produced with synthetic hormones, give synthetic hormones the boot altogether and consider alternatives to your synthetic-hormone birth control pill.) If you can afford it, buy organic milk. Can’t afford organic milk? 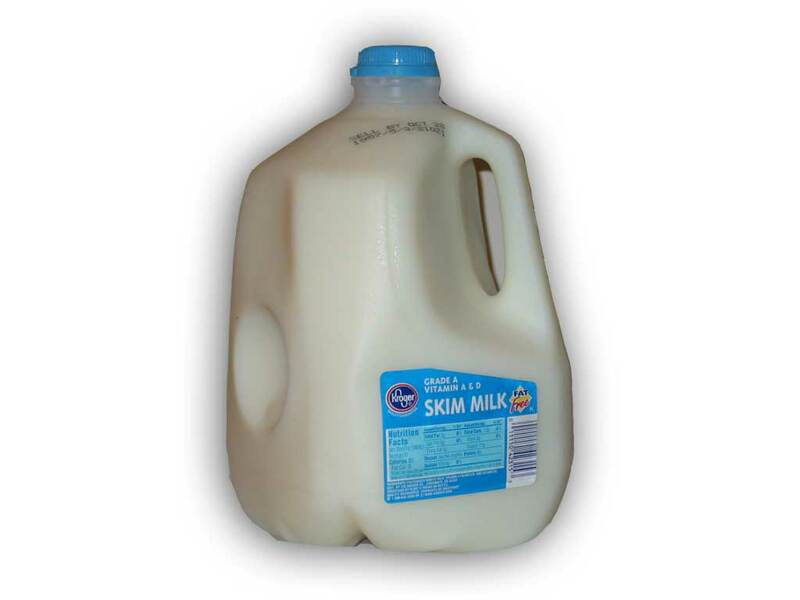 At a minimum, be sure you are buying rBGH-free and rBGS-free milk. Another food that makes the Dirty Dozen! 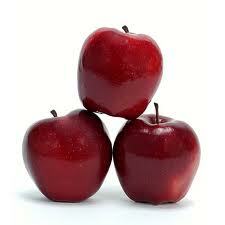 Apples, unfortunately, top the Dirty Dozen list at #1. These aren’t your grandma’s apples; the amount of pesticides in and on apples is increasing like crazy. Experts believe that the huge increase is due to manufacturers spraying them with chemicals after the harvest (as well as before and during) to improve their shelf life so they still have that shiny-fresh look weeks after you buy them. And you thought apples were just pretty young things forever naturally? Nope. Guess that’s something Hollywood and conventional apples have in common. Fortunately, like potatoes, apples are one of the more affordable fruits. Let’s rewrite the old adage: Spend more money on organic apples today, and keep your doctor’s bills at bay. Can’t afford organic fruits and veggies? Choose conventional fruits and veggies that are thought to have the least amount of pesticide. Veggies like onions, asparagus, and broccoli face fewer threats from pests, which lead to fewer pesticides. Avocados, pineapples, kiwis, mangos, eggplants, and some melons are thought to have less pesticides due to their thick skins. You can find the original list here. The bottom line? Food, on its own, is not the culprit. The way that food is grown and packaged creates the problem. Why would Congress do something like this? Oh, you know, just as a little favor for their friends over at ConAgra and Schwan Foods. ConAgra and Schwan are two of the largest manufacturers of frozen and processed foods, whose lobbyists no doubt played an important role in this decision. That’s just what friends do for friends! You can read a more serious report on the decision here. There are many absolutes we know about health – for example: whole, natural foods are better for you than processed foods – but personal health is not all absolutes. One enormous variable is genetics. Genetics determine more than an individual’s predisposition to certain diseases. Each of our bodies responds to food and exercise differently. Knowing your body’s individual needs, preferences, food sensitivities, and allergies is an important part of owning your health. Although you can ask your doctor to test your levels of an array of vitamins and minerals (the results of which may be less due to your diet and more to your body’s natural ability to absorb certain nutrients over others), these tests can be expensive and may not be covered by your insurance provider. Regardless, I think it’s imperative to develop a habit of thinking consciously about your health. You don’t need tests to start understanding your unique needs. Research your family. Did your parents or grandparents have any food allergies and intolerances? What health problems run in your family? If any of your close relatives are unhealthy today, or died prematurely, learning about their diets may also help you understand what not to eat. Most importantly, listen to your body. Remember that every person’s body is different. Regardless of your family history, race, or ethnicity, you are an individual with unique needs. You are the person with the best chance of positively impacting your own health. Listen to yourself. When mothers introduce children to new foods, they typically ask “Do you like that?” or “Did that taste good?” As children grow older, we need to emphasize more than the pleasures of eating. We need to encourage children to know and understand their individual dietary needs, and to recognize how different foods affect their energy levels and personal health. Understanding your individual health needs – including your personal strengths and weaknesses as related to health – is one more step toward taking charge of your overall wellness. The United States is facing an unprecedented crisis in public health. Americans are more ill than they have ever been in history. Recent studies predict that by 2020, more than 80 percent of American men and more than 70 percent of American women will be overweight or obese. Not only are Americans as a population more ill than they have ever been, but the neediest among us are suffering most of all. The disparity in health among social classes is growing rapidly. The gap in premature death rates between the poorest and richest Americans has almost doubled since 1980. This disparity begins in the womb — low socioeconomic status is strongly linked to low birthweight — and the disadvantages continue throughout life. In 2009, 600,000 of Chicago’s 3 million residents lived in urban neighborhoods with limited or no access to fresh fruits and vegetables. Fortunately, new studies are pulling back the curtain on food deserts, and challenging the old assumption that poor people choose unhealthy food voluntarily. In reality, they often do not have access to healthier options. In America today, the best predictor of health is social class. Food is one part of the health equation, but it is only one part. Wellness is about more than diet and exercise. It’s about our daily patterns and activities. It’s about exposure to toxins and chemicals. It’s about education, and awareness. WELLNESS & EQUALITY is a progressive health blog. Health, at it’s core, is simple. 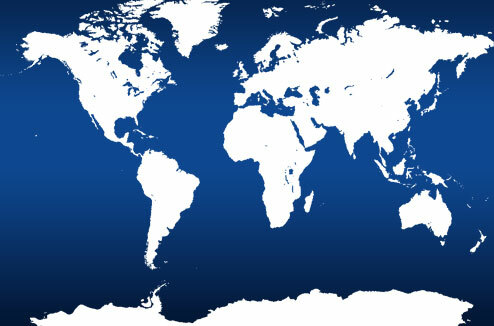 Our modern world, however, is complex; simple, natural living has become nearly impossible without thoughtful effort. The goals of this blog are to bring awareness to contemporary health concerns, including health-related inequalities, and to encourage a conversation about how we can alter the fate of millions of Americans — including ourselves. Author WEPosted on December 9, 2011 July 17, 2014 Categories Breaking Health News, Diet, Fitness, Statistics and Studies, Weight LossTags American health, equality, food desert, health, obesity, wellness, wellness and equalityLeave a comment on Welcome! WELLNESS AND EQUALITY Blog at WordPress.com.